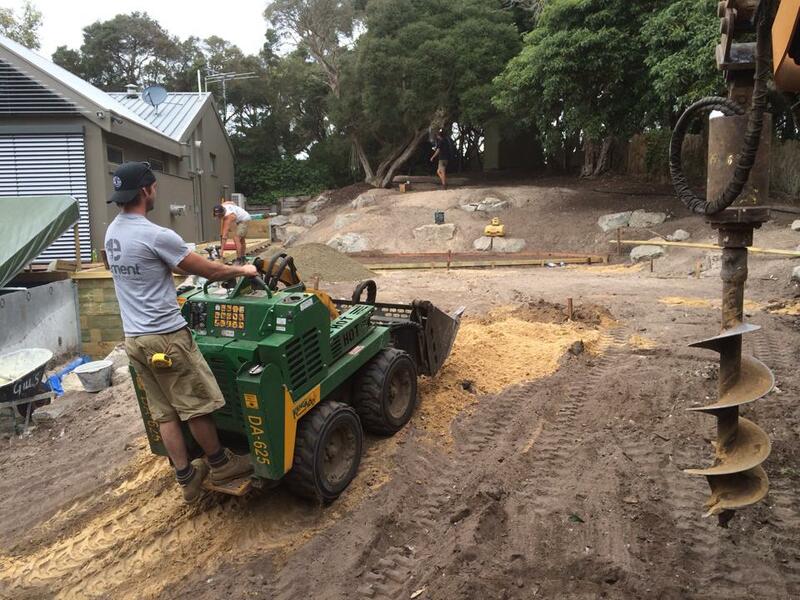 Element gardens Landscaping has been running for over 10 years we have always built the larger domestic gardens suited to the Mornington Peninsula. 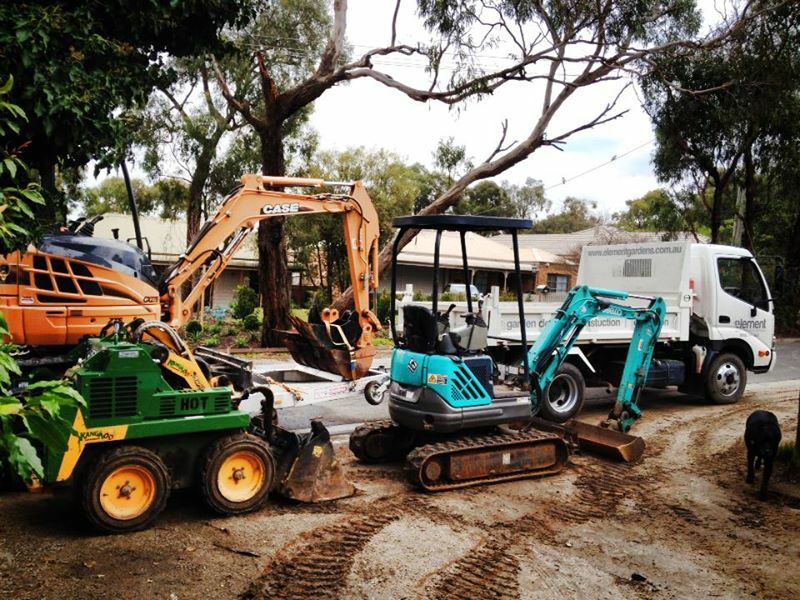 I purchased my first 6 series Kanga Loader in 2007 and that was the start of new beginnings for Element Gardens. The machine was such a success that element excavations was evolving without me even knowing. The hop on hop off nature of the Kanga was immediately what i was looking for and it proved its success quickly. 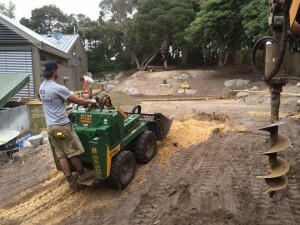 I was tired of running wheel barrows all day long and paying my staff to do something that i knew a Kanga would do in half the time. In return it also left myself and staff physically feeling better each day and not burnt out. – I also heard Kanga had excellent customer service and maintenance division. 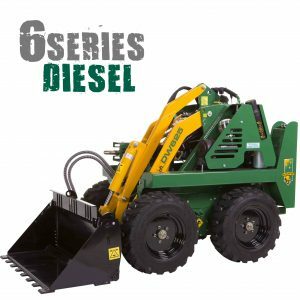 – The six series Kanga always won my decision because of its size, power, and reliable Kubota diesel engine. 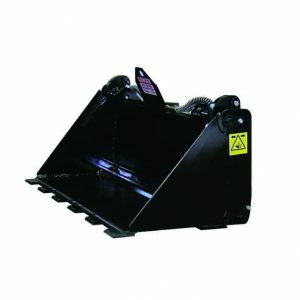 I chose the 6 series because it has been a proven machine to me for years we have used it for thousands of hours on all sorts of challenging and tight access jobs. 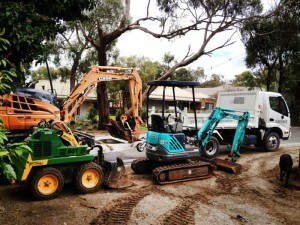 With a variety of attachments it does more hours than my other 4 machines. 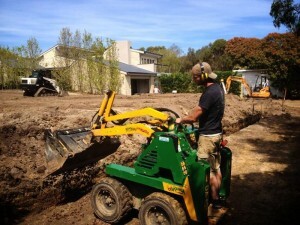 We recently purchased the rotary attachment which has been a great success saving us time and materials for our gardens. I really like the angle of response when in reverse. I’ve been dealing with Kanga for many years now and will continue to run the 6 series whilst I’m in the industry. The machine is extremely reliable and cuts my labour costs considerably. We use the machine daily and it always comes in handy on most of our job sites. 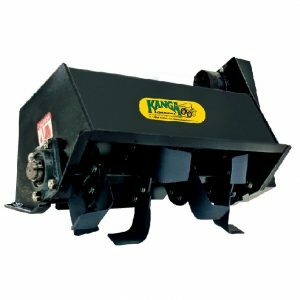 Kanga loaders have a great product with the service to back it up!